Potentially Disruptive Innovations and Business Models: (How) do established SMEs respond? Returnee Entrepreneurs: Do They All Boost Emerging Economies? The Link between Gender Diversity and Innovation: What is the Role of Firm Size? Mergers Between Savings Banks. The Solution for Improving Risk in the Spanish Banking Sector? High Growth Firms: Not So Vital After All? Review of Empirical Studies on Self Employment out of Unemployment: Do Self Employment Policies Make a Positive Impact? Creative Relationships: A Basic Concept within Entrepreneurship Education? Family Business Internationalization in the New Millennium: Achievements and Avenues for Future Research? We Built It, Now Will They Come? bOK Systems Corp. TEACHING NOTE: We Built It, Now Will They Come? bOK Systems Corp.
Vegetarian Gardens: Grow in Guyana or is the Grass Greener Elsewhere? TEACHING NOTE: Vegetarian Gardens: Grow in Guyana or is the Grass Greener Elsewhere? Organising Freelancers: A Hard Case or a New Opportunity? What’s in a name? The value of ‘Entrepreneurs’ compared to ‘Self Employed’...but what about ‘Freelancing’ or ‘IPro’? Job Quality and Self Employment: Is it (Still) Better to Work for Yourself? Lecture & Survey Article: Will the Old Venture Model Work with New Web-Based Start-Ups? Lecture & Survey Article: Web 2.0: New World or Old Hype? Lecture & Survey Article: The Unit of Analysis in Entrepreneurship Research: Opportunities or Investments? Lecture & Survey Article: SME Management: (What) Can We Learn from Entrepreneurship Theory? Lecture & Survey Article: Graduate Entrepreneurship, ADHD and the Creation of Young Entrepreneurs: Is There a Need to Rethink? 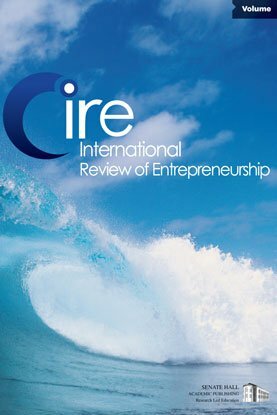 Lecture & Survey Article: Entrepreneurship: Unique Solutions for Unique Environments. Is it Possible to Achieve This with the Existing Paradigm? Lecture & Survey Article: Towards the Entrepreneurial University? Author(s): Walter Kuemmerle (Harvard Business School, USA), Kiichiro Kobayashi (Keio Business School, Japan) and Chad Ellis (Harvard Business School, USA). Case Study: Multimedia Live: Built to Sell?